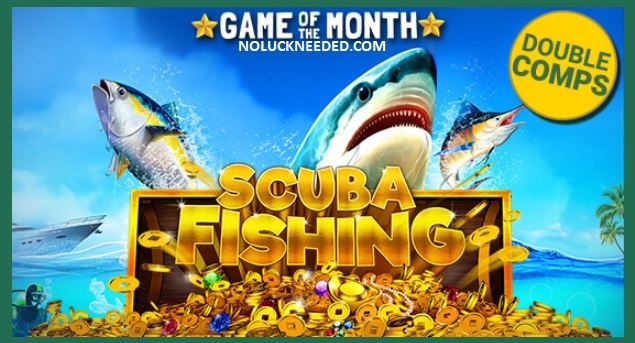 Make February your lucky month and play the cool new Scuba Fishing pokie at Fair Go Casino with a daily 100% bonus that includes 25 free spins! Redeem the coupon code 02GOTM-19 once a day in February to more to claim your 100% bonus and 25 free spins on the Scuba Fishing pokie. You ill also earn double comp points in February when you play Scuba Fishing because it is the game of the month. Good luck! Claim your February Bonus Codes and Scuba Fishing Free Spins at Fair Go Casino! This bonus is only valid for customers with a valid deposit within the last 5 days (today included). General Terms & Conditions apply. The maximum payout is $180. Max bet rule. Do not claim two free bonuses in a row. This bonus code is valid 30 January until?